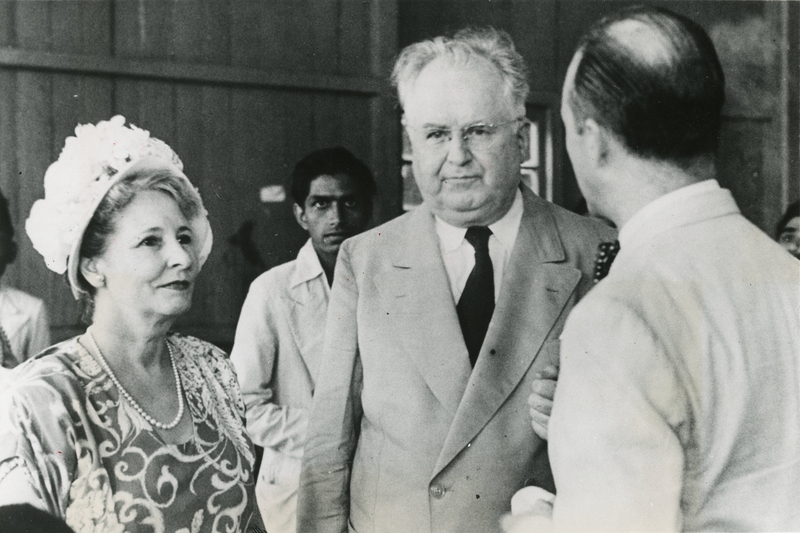 SCVHistory.com LW3106 | Rancho Camulos | Ambassador & Mrs. Henry Grady (Lucretia del Valle) Arrive in India, 1947. 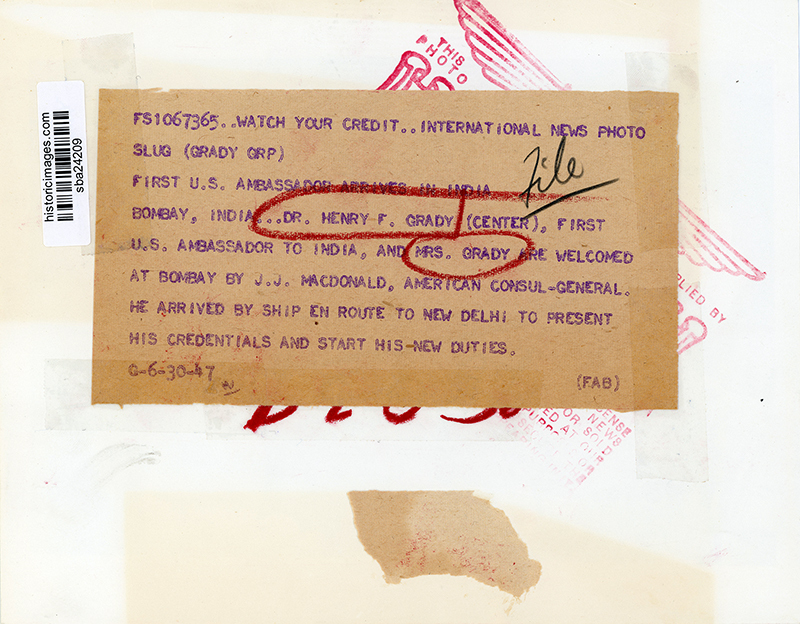 June 30, 1947 — Lucretia del Valle Grady, daughter of SCV landowner Reginaldo del Valle, arrives in India with her husband, Henry F. Grady, the first U.S. ambassador to the newly independent nation. BOMBAY, INDIA ... Dr. Henry F. Grady (center), first U.S. Ambassador to India, and Mrs. Grady are welcomed at Bombay by J.J. MacDonald, American Consul-General. He arrived by ship en route to New Delhi to present his credentials and start his new duties. 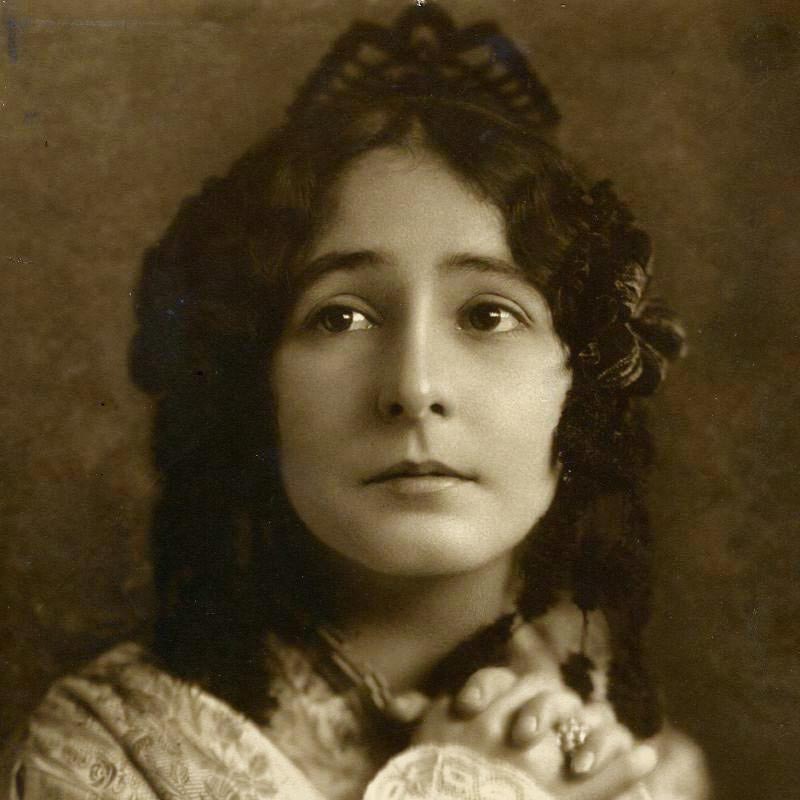 LW3106: 9600 dpi jpeg from original wire photo purchased 2017 by Leon Worden.